Poor transport infrastructure is government failure, claims The Green Party. The current disruption to travel services caused by snow highlights the government’s failure to invest in transport infrastructure, the Green Party claims today. A lack of provision for extreme weather means that the UK transport system has been overwhelmed by the recent heavy snow, with thousands of people stranded, and Christmas travel plans disrupted. 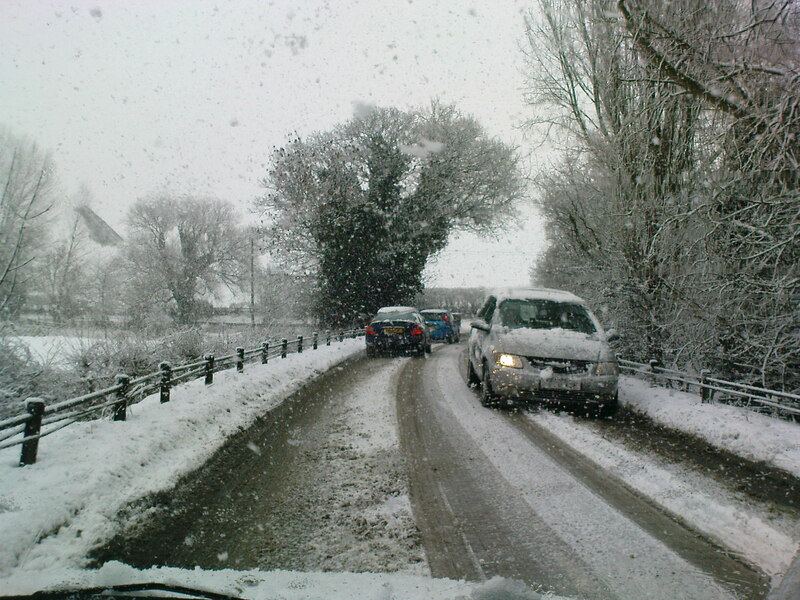 The snow is one in a long list of problems facing road users. The price of petrol has reached record highs, roads are increasingly congested, and carbon emissions from the transport sector are continuing to rise. These problems are all set to worsen. The Green Party argues that the never-ending misery for travelers highlights the need for a shift towards funding a more reliable public transport system. This would go some way towards addressing the travel chaos caused by snow, and keep the UK moving during bad weather. If public transport is to be a real alternative to road travel, new rail and bus routes need to be opened and existing ones improved. The reliability of trains needs to be improved, and exceptional weather factored into design. The Greens would like to see massive investment in public transport, in order to improve rail and bus services. This investment would have many economic and social advantages, including job creation, safer streets and improved air quality. The Green Party claims that this investment must begin immediately, if a repeat of the current travel chaos is to be avoided. 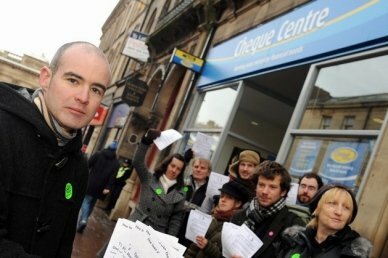 Green Party activists have accused the Cheque Centre in Carlisle of charging “wickedly extortionate” interest rates. They demonstrated outside the lender’s branch in Devonshire Street on Saturday, urging customers to go to Carlisle and District Credit Union instead. The Cheque Centre offers short-term loans to tide over borrowers until pay day. It accepts business from people with a poor credit history but charges are high. Someone borrowing £500 for a couple of weeks would pay back £602.41. John Reardon, the Green candidate for Carlisle at this year’s General Election, argues that the Cheque Centre is taking advantage of vulnerable people. He said: “They draw in people who need to borrow money and who feel like they have nowhere else they can go. Many people find they have no alternative but to be held to ransom by vultures such as these. “We believe that the rates on offer at these sorts of places are disgusting and completely unacceptable. “People are getting charged average annual percentage rates (APRs) of 827 per cent by increasingly visible, modern-day loan sharks like the Cheque Centre. Mr Reardon advised would-be borrowers to visit the credit union in Lowther Street. This is a non-profit making organisation that provides savings and loans. Members are encouraged to save regularly and, once they have done so for eight weeks, can borrow twice the amount they have saved. Interest on loans is charged at 12.68 per cent APR. Mr Reardon added: “Credit unions help to educate people about how to take charge of their finances. The Cheque Centre is part of a 140-strong chain based in Edinburgh. You are currently browsing the The Northants Green Party Blog blog archives for December, 2010.